In May-June 2005, during the electoral campaign about the European Constitutional treaty in France, there was a lot of discussions in French medias about the famous "Polish plumber", presented as a menace to French workers by the sovereignist Right and Far Right parties. Curiously, nobody tried to seriously inquire about what was, on the other side, the behaviour of French companies in Eastern and Central Europe. Few journalists dared to say that French hypermarkets like Carrefour, Auchan or Leclerc in Poland pay their employees with delay, open on Sundays with no extrapay, change their timetable from one day to the other, etc. Or, to be more precise, the journalists did their job but on marginal radios, like the State-financed Radio France Internationale (RFI) and on one of the national channels – after midnight! Nevertheless, listening to or watching these medias, one could get some interesting information. On RFI, for example, there was a long report about French investors in Romania. The French capitalists interviewed on the radio used the anti-globalization rhetoric to justify why they paid low wages to "their" Rumanian workers: after all, they were contributing to a "durable development" in that country! And a worker, who was probably cumulating hundreds of overtime hours, explained that he succeeded to buy his house in 5 years, earning 150 euros per month. But the journalists also interviewed a Romanian trade-unionist about the multinational French distribution group Carrefour, which has heavily invested in several CEECs, and fires any employee who wants to organize a trade-union in its supermarkets. If Rumanian workers still had any illusions about the "fatherland of the Rights of Man", they probably have lost them all now. And on national TV (after midnight) there was a one-hour report about some French companies who have bought thousands of hectares in Poland and make Polish farm workers sweat day and night ("they are not as lazy and demanding as French workers"!). The cynicism of the French executives interviewed in this program was worth listening to and contrasted with the disgusting daily propaganda about the "Polish plumber". Unfortunately, even if some French media partially did their job, most of them only focused their attention on the mythical threat of 150 or 180 Polish plumbers (the exact number was revealed only after the electoral campaign) against "French jobs". This article tries to give some information about French investments in Eastern and Central Europe, i.e. the former Stalinist States which were part (like the Baltic States) or not of the USSR and are now, or will be in a near future, integrated into the EU. Written by a non-specialist, this text certainly contains errors and flaws and should be obviously enriched by data about the reactions of Eastern European workers in front of the methods of French companies, in order to build an effective international solidarity. The most important remains to be done. –German banks are much more implanted in the CEECs and have much closer relationships with German corporations and small and medium firms. Whether these French specialists are partially right or not, that does not change much to the daily exploitation of Eastern European workers. Even if French capitalists are generally behind German bosses in the "East Rush", their methods are exactly the same. If one considers the CEECs, Germany and the United States are the two main investors. For example in 1997-1998, Germany invested 11,436 million euros, the USA 8,460 and France 2,905, closely followed by countries like Netherlands and Austria whose GDP is almost four times inferior to the French one. Nevertheless, French imperialism has done its best to take its share of the Eastern European cake. As soon as the "Popular democracies" opened their frontiers to foreign capital, French multinationals tried to take over major State companies (power stations were bought by EDF or phone companies by France Telecom) and did not hesitate to sack thousands of workers. When Renault bought the Dacia factory in Romania, to produce its 5,000-euro car, the "Logan", it sacked 12,000 workers out of 28,000 and generously decided to pay 143 euros per month to its workers. After this first stage of gross looting, French companies are now studying what are the best possibilities for them on each local market and adapt themselves to the various political situations: corruption plays a negative role for foreign investment, while low taxes and low wages (French wages are 6 to 8 times higher) act as a powerful magnet. Between 1992 and 2003, France has multiplied by four its exportations to the CEECs. The levels of its exports is superior to the exports concerning China or Latin America, and more stable. If the rate of growth of the CEECs is higher (between 3 and 4 percent as opposed to 1-2 percent for the rest of the EU), official and unofficial unemployment rates are much higher (18 percent in Slovakia, 19 percent in Poland and 40 percent in Bulgaria, for example), a factor which maintains the wages level low, while the qualification is generally quite good according to European standards, the Baltic countries being the first "pupils of the class", Slovenia and Hungary being the last ones. This article presents some basic factual information about the situation in the CEECs: who are the main French firms involved, how many local workers do they employ, and what’s the rank of French imperialism in relation with its competitors in each country. For the reader who has not the patience to read these data, one can be sum them up in a few words: around 220,000 people work, directly or indirectly, for French companies in Eastern and central Europe (80 million people are employed in all the present European Union). 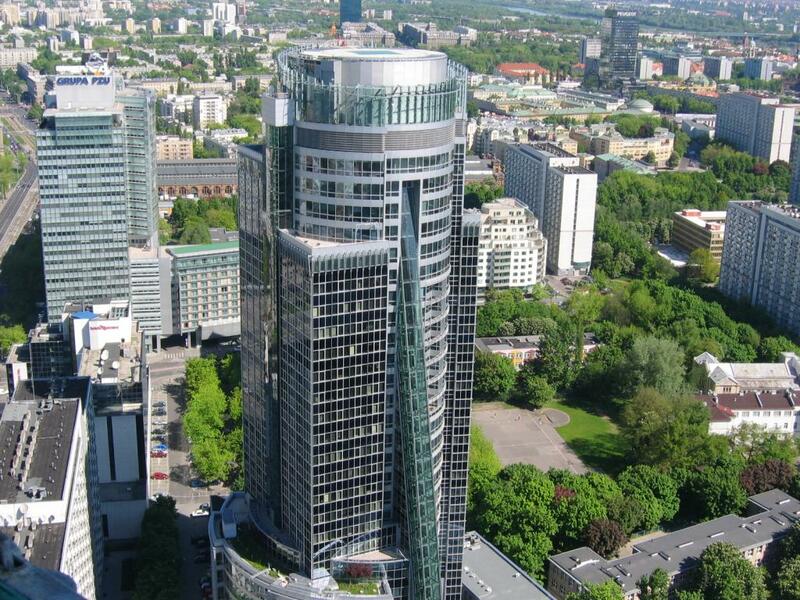 The main French banks are involved in Eastern and Central Europe as well as the most important groups of the car and building industries, and the distribution corporations. French imperialism has a strong influence in Romania and Poland; a reasonable influence in Hungary, Bulgaria and Czech Republic; and a weaker position in Slovakia and in the Baltic countries. French imperialism contributes to the destruction of local agricultures and to the dismantling of all major state-owned companies. The presence of French imperialism is often hidden by subtractors: Technic Plastic Romania works for Salomon, Solectron produces phones for Philips, etc. And the clothes produced by Alca Group factory in Bucarest for Lacoste, Etam, Pierre Cardin or Hugo Boss dont indicate that they are "made in Romania". France is only the 13th foreign investor, the main ones being Austria, Greece, Netherlands, Germany and Italy. French companies employ around 3,000 persons. As a bourgeois economic journalist notes: "At industry level, French-Bulgarian trade shows the classic structure of trade relations with the developing countries: export of investment goods and semi-processed goods and import of labour-consuming goods. (…) From the top, these industries rank as follows: textile products for supplying of new partnerships in the field of ready-made clothes; the pharmaceutical industry, perfumery and detergents; motor vehicle construction with the Peugeot Group, which ranks first on the market of new cars; chemical industry, rubber and plastics; mechanical equipment. After these come electronic and electro-technical equipment, food industry and cloth and furs, sold as raw materials to Bulgarian factories of working with client-supplied materials. "(…) French participation in Bulgarian privatisation is limited to several industries, mainly the banking sector (the acquisition of Express Bank by Société Générale), energy industry (the acquisition of Pirin-Bistritsa by Mecamidi), electrotechnics (the acquisition of a production unit in Perushtitsa by Schneider), cement industry (Bulgarian enterprises of Devnia Cement and Vulkan have been purchased by Ciment Francais), do-it-yourself (the opening of two centres of the trademark of Monsieur Bricolage in Sofia and Plovdiv) and food industry (the acquisition of the Serdika state-owned milk-processing factory by Danone). The Dewavrin business group has recently built an enterprise of washing and colouring of wool in the region of Plovdiv. (…). "Many French companies have commercial representations and/or agents. Some of them are of major importance: Peugeot, Renault, Citroen - they have made the French cars the best-selling cars on the Bulgarian market, but also Alcatel in telecommunications, Servier and Boiron in the pharmaceutical industry, Lactalis in the cheese industry. "(…) But small and medium French enterprises are attracted by the low expenses for access to a market with production potential and - as a result of that - of prospects for economic sub-delivery: qualified personnel, medium salaries, interesting regional and geographical location. Thus, 75 per cent of the French presence in Bulgaria is made up of mainly small and medium enterprises of the textile and clothes industries, shoe industry, telecommunications and services." This long quotation describes a basic scheme which is often reproduced in other CEECs. –PSA, allied with Toyota, has built a factory in Kolin, near Prague. Croatia’a main partners are Austria and Germany. Although French investments have been progressing, they represent only 2,42 percent of foreign direct investments. There are 5 companies concerned by French investments: Alsthom, Lesaffre, Bouygues (building industry, which possesses 51 percent of Bina Istra), Saint-Jean Industrie (car components) and Bricostore (do-it-yourself). In all, 2,000 persons work for French companies including the workers employed for the construction of Istria motorway. In 2005 ORCO is supposed to invest in Suncani Hvar hotels. France is the 19th foreign investor. Main companies: Télédiffusion de France (in Eesti Ringhaalingu Saatekeskuse radio) and Dalkia International (in 2 companies dealing with collective urban heating), JC Decaux (street and urban furniture), Billon Simex International (table tennis), Connex (urban transports) and Riviera (wine, cosmetics). Around 2,400 people work directly or indirectly for French companies. France is the 5th foreign investor behind Germany, United States, Austria and Netherlands. French companies have invested in the food industry (Danone, Bongrain, Ceva-Phylaxia), building industry (Bouygues), energy (Total, EDF, Suez, GDF), car industry (Renault, Peugeot, Citroën, Michelin), distribution and do-it-yourself department stores (Cora, Auchan, Bricostore, Decathlon, Plaza commercial centers controlled by BNP Paribas bank), chemistry-pharmacy (Servier, Sanofi-Synthelabo), publishing (Hachette) and hotels (Accor). In all, 351 French companies employ 57,583 persons. France is the 1st foreign investor. Mainly concentrated in the telecommunications (France Telecom has bought 47,5 percent of the national telephone company TPSA in 2000; through massive lay-offs and downsizing, in 5 years 42,000 jobs over 70,000 disappeared and now TPSA employs outsourcing companies and temp workers) and distribution sector (food department stores: Carrefour, Auchan, Leclerc, Leader Price and Casino; do-it-yourself department stores: Monsieur Bricolage, Leroy Merlin, Castorama), the investments touch all economic branches: hotels (Orbis linked to Accor), car industry (Michelin in Stomil Olszryn), car equipment (Valeo, 3 factories), Lafarge (building industry), Saint-Gobain (glass and building materials), Thomson (electronics), Air Liquide (chemicals and petrochemicals), Danone and Pernod Ricard (food industry), Sanofi-Synthélabo (chemistry-pharmacy), Faurecia (auto equipment). 33 percent of French investments are concentrated in the manufacturing sector, 30 percent in services and distribution and 35 percent in telecommunications. The following example is quite illustrative of French capitalist methods in the PECO’s. A French company bought Wyborowa vodka in 2001. At that time 640 people worked there, now (in 2005) the workforce has been reduced to 250. And it could have been even worse, because a few months ago the French investors wanted to fire another 112 people and to reduce wages of the rest by 50percent (!). The workers reacted and did a hunger strike for 13 days. Final result: "only" 90 workers were sacked and the wages were "just" reduced by 7 percent... All that in a factory that always did and does bring profits! In fact French capitalists dont want to keep on producing a lot of small cheap local brands of vodka, as before. They just want to concentrate their efforts on one or two big brands, mostly for export, and with this new commercial choice, they don’t need as many workers as before. So the vodka for the Polish market is much more expensive and there are more workers on the dole. France is the 2nd foreign investor behind the Netherlands. Danone (food industry) has built one factory. Carrefour has 5 supermarkets and plans to open 20 more before 2012. Bricostore (do-it-yourself ) has 3 department stores and Cora 1. 50,000 persons work for French companies and 75 percent of them in companies which were been privatised such as Renault Dacia, Apa Nova Bucarest (Veolia), Lafarge Romcim, BRD-Société générale and Michelin, Sical (paper and cardboard), Dalkia (collective town heating in Ploiesti and Bucarest). France Telecom has invested in mobile phones (Orange Romania) as well as Alcatel. Small and medium companies have massively invested in small towns of Romania: confection, shoe industry, wood industry (Parisot builds furnitures for Confororama, Ikea and Mobexpert), mechanic industries (IUS Outillage in Brasov), electric industry (Energom in Cluj) and engineering and NTIC (Kepler Riminfo in softwares and call centers). Car equipment factories have invested in Pitesti (Auto Chassis International, Valeo) and Sibiu (SNR, Société nationale de roulement, Faurecia for car seats). Salomon France is going to partly relocalize its activities in Romania to produce skis. France is the 3rd investor behind Germany and Austria. 200 French companies employ 25,000 workers. 70 percent are small and medium companies (less than 51 workers) mainly concentrated near Bratislava and Trencin but big groups have also started to invest like PSA Peugeot Citroën who has bought 25 ha to produce 300,000 cars in 2006 with 3,500 workers and plans to provide 6,000 additional jobs to subtractors. It has also created an industrial park in common with Slovak and American companies to host car equipment companies and services linked to the car industry. France is the 3rd foreign investor, behind Austria and Switzerland, and has leading positions in the banking sector (Société Générale), car industry (Renault), management of public services (Ondeo in Maribor), distribution (Leclerc), building industry (Lafarge bought the second cement factory). 40 French companies employ 5,700 persons. [prol-position news #4, 12/2005] www.prol-position.net. Edited by libcom for accuracy. 2. As Davide Passoni notes in Pagine Marxiste no. 5 (November 2004): "during all the 18th and 19th century, the Eastern and Balkanic Europe has been an object of permanent struggle between Germany, France, England, Italy and Russia, struggle which led to two world wars. It was the tendency of German imperialism to grow towards East which provoked the reaction of the European powers and of the USA. They wanted to impede Germany to acquire a specific weight in Europe which would have enabled it to lay the basis for its hegemony on the continent". And Passonni adds: "The amplification of its internal market [after the reunification of Germany] and the reconstruction of its Eastern part have pushed to the east the baricenter of Germany and Europe, and it’s no mystery for European diplomats that German economy is the one which profits most from the enlargement of the European Union."